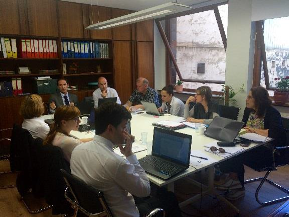 6 months after the launch of the ReinaPLUS project, the second steering committee meeting was held in Bilbao, from 8 to 9 June 2016. The 2-day internal event included in addition technical visits to leading Basque companies and experimental infrastructures dedicated to smartgrids and energy storage. The Second Steering Committee Meeting of the ReinaPLUS project was organized and hosted by the Basque Energy Cluster, in Bilbao (Basque Country), from 8 to 9 June 2016. 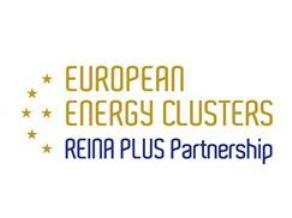 The meeting was attended by 10 participants from the 4 Energy Clusters comprising the ReinaPLUS partnership. The main objective of the meeting of 8th June was to assess the project progress, including the Reina PLUS activities and actions carried out to date, and to plan the next activities to be carried out in the second half of 2016 and beginning of 2017. The ReinaPLUS consortium is currently elaborating the Action Plan and the joint communication strategy for Mexico, Brazil, Chile, North America and North Africa. It was agreed that at least four missions and international matchmaking events to Mexico, Brazil, US and Tunisia target markets will be organised in the present year. Indeed, two of them, Mexico and Brazil, will be organised in the frame of the “Low Carbon Business Action”initiative of the European Commission. In Brazil, the event will be organized in collaboration with the ELAN initiative. In addition, an in-depth discussion on the competitive advantages of Reina PLUS ESCP- 4i was held in order to identify further opportunities of integrating value chains across sectors and regions. This exercise was indeed very helpful for the various internationalization activities that will be undertaken not only throughout the life of the project, but long after its completion. Finally, and considering the criteria of rotation, it was agreed that the next ReinaPLUS Steering Committee meeting will be held in Linz in January 2017 (dates to be confirmed). The second day was devoted to technical visits to leading infrastructures in the Basque Country for developing products, equipment and systems for smart grids, including Bidelek Sareak, inGRID and the Technology Center of Ormazabal. These visits have given the Reina PLUS clusters the opportunity to learn first-hand the projects and powerful infrastructures in the field of Smartgrids in the Basque Country and further explore new opportunities for collaboration. - Bidelek Sareak: Bidelek Sareak is a joint initiative born in November 2011 as an entity jointly owned by Iberdrola and EVE (the Basque Energy Agency), whose purpose would be to implement and deploy smart grids in the north area of the Basque Country in order to increase the efficiency and security of the electricity supply. Indeed, 13 electric companies and equipment manufacturers from the Basque Energy Cluster have actively participated. The initiative, now close to its end, has had a major business-inducing effect among equipment and systems suppliers in the Energy Cluster, offering them the opportunity to develop and test their smart-grid product range, technologies and service portfolio in a reallife application, thus contributing to increase their competitiveness and show their capabilities at worldwide level. BIDELEK SAREAK has set up an exhibition area containing part of the real and operative equipment used. During the visit, we had the opportunity to learn about the main technological innovations introduced in the electric network, the applications and benefits for the electric system, the companies involved and the society. - inGRID Smartgrids advanced experimental infrastructure: TECNALIA's new experimental infrastructure for Smart Grids is designed and oriented to meet the needs of electrical equipment manufacturers and utilities in the specification, development, validation and commercialization of innovative products for the Smart Grids market. During the visit, we had the opportunity to learn about the different projects and tests carried out in the High Voltage Laboratory, the Power electronics laboratory and microgrid, smart metering laboratory. - Technology Center of ORMAZABAL (CIT): The CIT represents an important leap in the Ormazabal’s track record; a project that has long been desired and aspires to become a technical reference at an international level, in the field of electrical power distribution networks. It is mainly composed of the HPL: High power laboratory and the UDEX: Real-time network experimentation unit. The capabilities of these two interconnected labs make the CIT a unique experimentation network in Europe. In 2016 and 2017, a consortium of European clusters led by the Basque Energy Cluster will develop the REINA PLUS project, funded by the European Commission DG GROW as part of the Clusters Go International Cooperation call of the European Programme COSME. Along with the Basque Energy Cluster, the following clusters will also take part in REINA PLUS: MERINOVA from Finland, OÖ. Energiesparverband from Austria and EnergyIn from Portugal. The purpose of the project is to promote, support and strengthen the internationalisation of European companies in the field of renewable energies and electrical grids in a series of international markets identified as high potential markets in these fields: Mexico, Brazil, Chile, the USA and North Africa (Morocco, Tunisia, Algeria). Co-operation among European energy clusters also aims to foster collaboration between companies to address international markets and integrate European companies in value chains competing globally in the field of renewable energies.